ATF Ruling 75-20 ? ATF Ruling 75-20 - Meaning of Term "Inhabited Building." ATF Ruling 75-21 ? 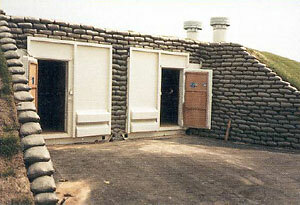 ATF Ruling 75-21 - Construction of Storage Facilities by the Department of Defense - Concrete Floors." ATF Ruling 76-18 ? ATF Ruling 76-18 - Alternate Bullet Resistant Construction Standards for Explosives Magazines. ATF Ruling 77-24 ? Storage of Electric Blasting Caps with Other Explosive Materials. ATF Ruling 2002-3 ? Indoor storage of explosives in a residence or dwelling. ATF Ruling 2002-4 ? Indoor storage of explosives in business premises directly adjacent to a residence or dwelling. ATF Ruling 2004-3 ? Under certain conditions, flush-mounted bolt-type locks used for Type-4 indoor magazines. ATF Ruling 2005-2 ? Meaning of Term "Highway." ATF Ruling 2005-3 ? Meaning of Term "Inhabited Building." ATF Ruling 2007-2 ? Temporary Storage of Display Fireworks. ATF Ruling 2007-3 ? Preloading and Temporary Storage of Blasting Agents on Bulk Delivery Vehicles.